When Steve and Beverly Schafer moved from Georgetown to the Erin countryside last year, they were delighted to see the variety of wildlife on their property. Deer they expected, but spotting foxes, mink and snapping turtles really surprised them. Steve and Beverly took advantage of CVC’s Landowner Action Fund to help them get this first project started. “Having funding through the Landowner Action Fund definitely accelerated the invasive project. 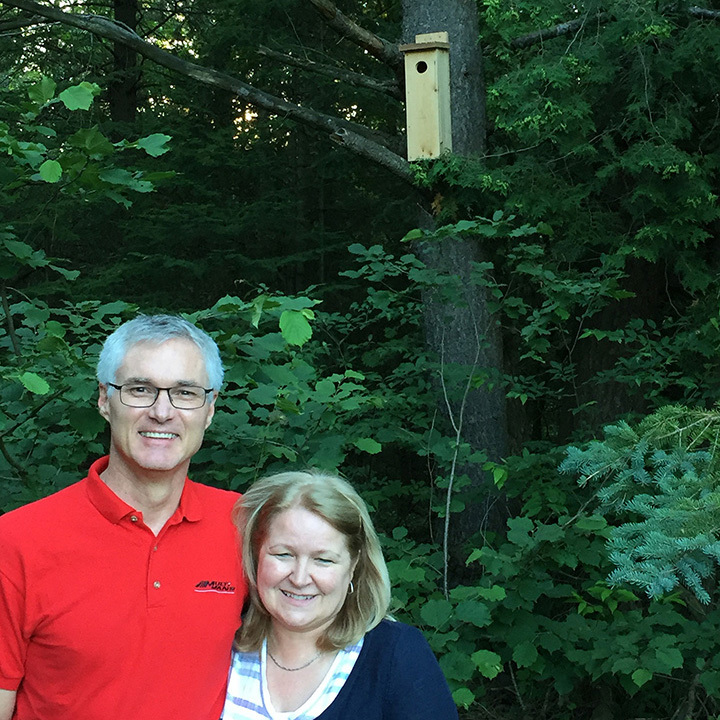 We would not have been able to do it as quickly.” They also used the Landowner Action Fund to purchase bird boxes to add more bird nesting habitat in the forests.